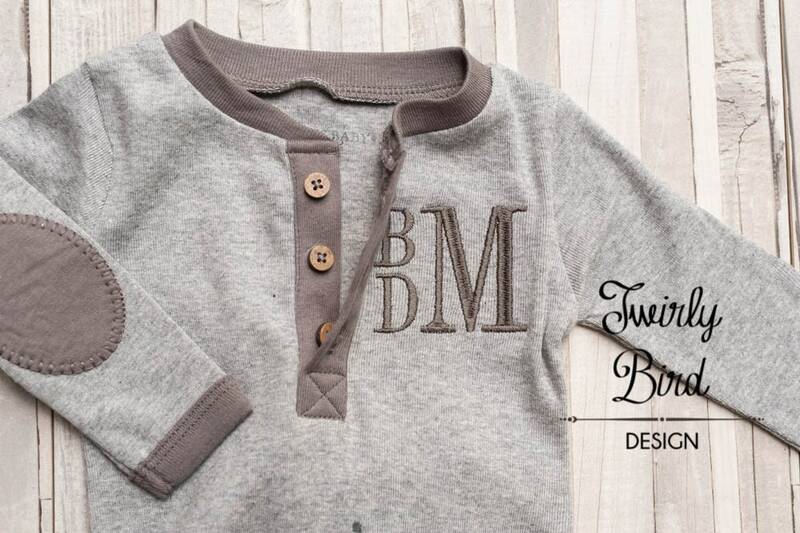 The moment your baby exits the hospital, he or she makes their debut into the world. Allow them to do so in style, comfort, and warmth. 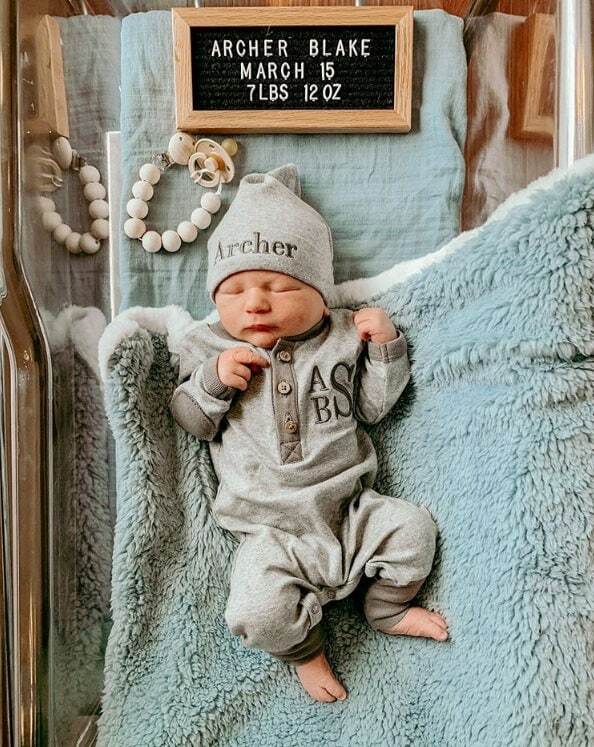 This precious bring-home-baby set includes a soft and sweet cap and is just what you need for that special photo opportunity! 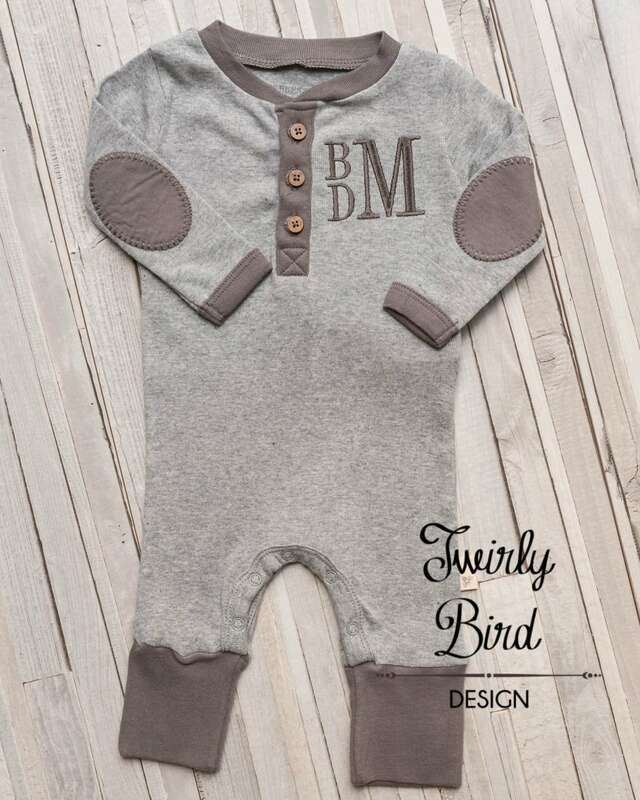 This convertible foot romper boasts snap front features, making diaper changes a cinch; and its long sleeves protects your baby from the elements and even features protective covers for baby’s hands. 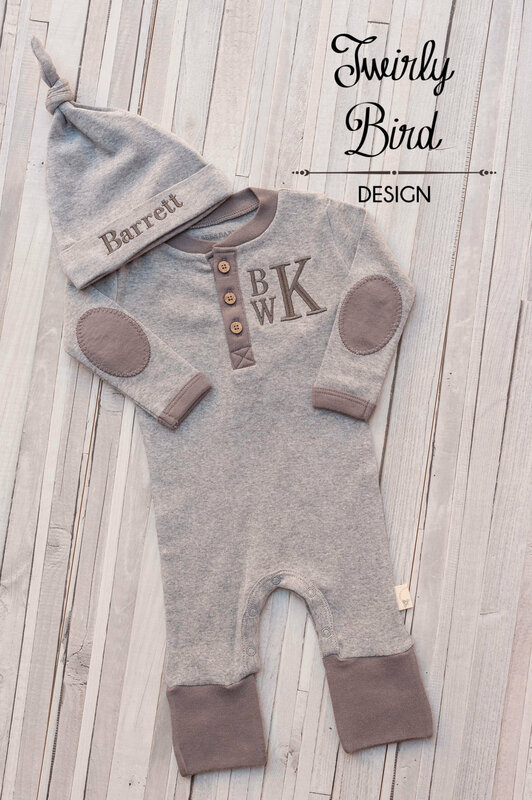 Personalized embroidery is included so you can get your baby’s name on the hat and monogram on the romper. 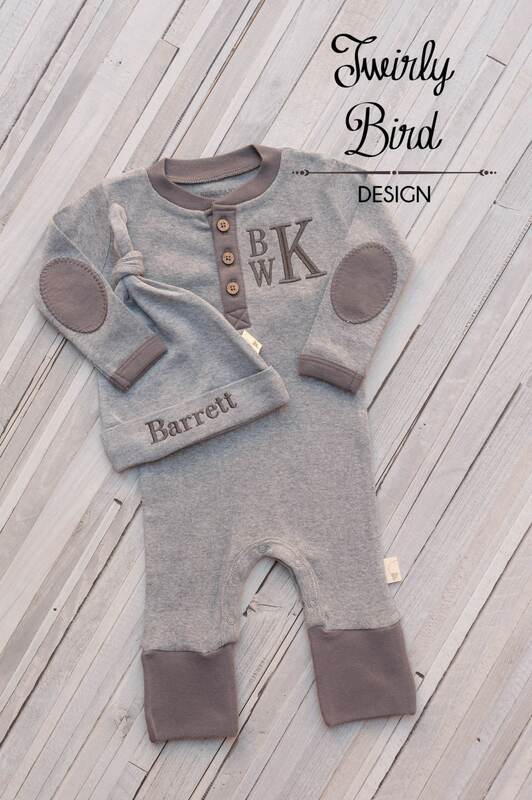 The set is composed of breathable, organic cotton, so it gets softer with every wash and won’t allow your baby to overheat. 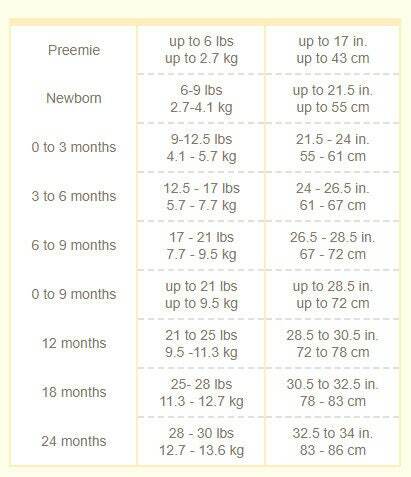 It is available in sizes preemie up to 24 months. 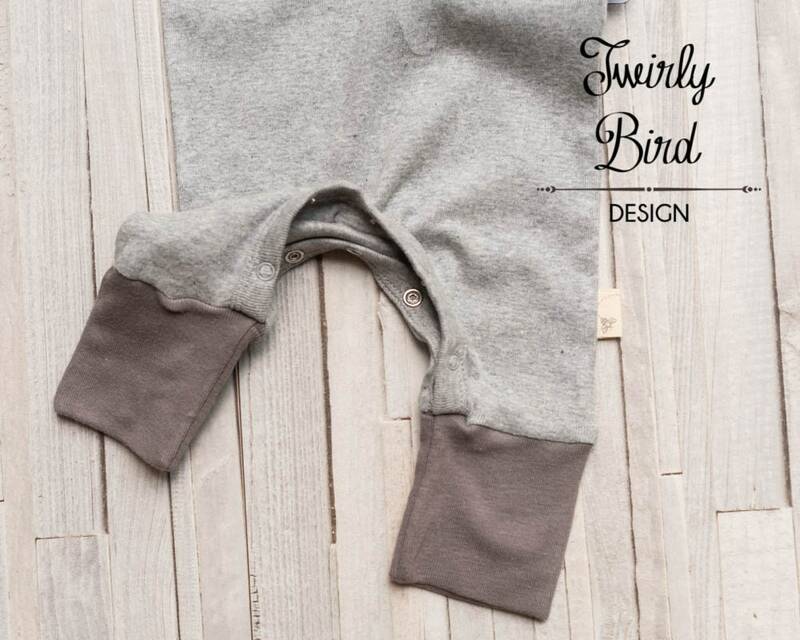 •	Convertible cuffs fold over hands to help prevent your newborn from scratching themselves. So much more convenient than mittens! 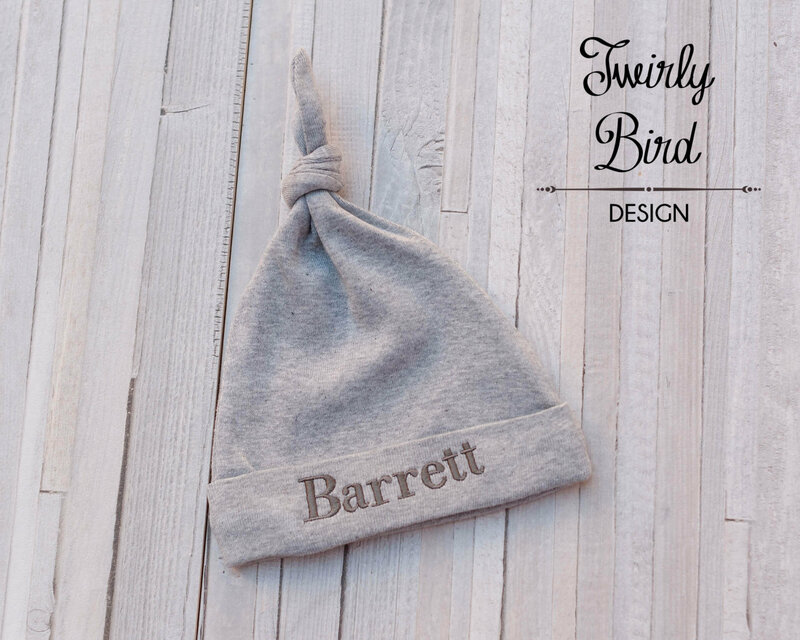 •	Convertible cuffs fold over feet to keep baby’s toes warm. No more looking for lost baby socks!